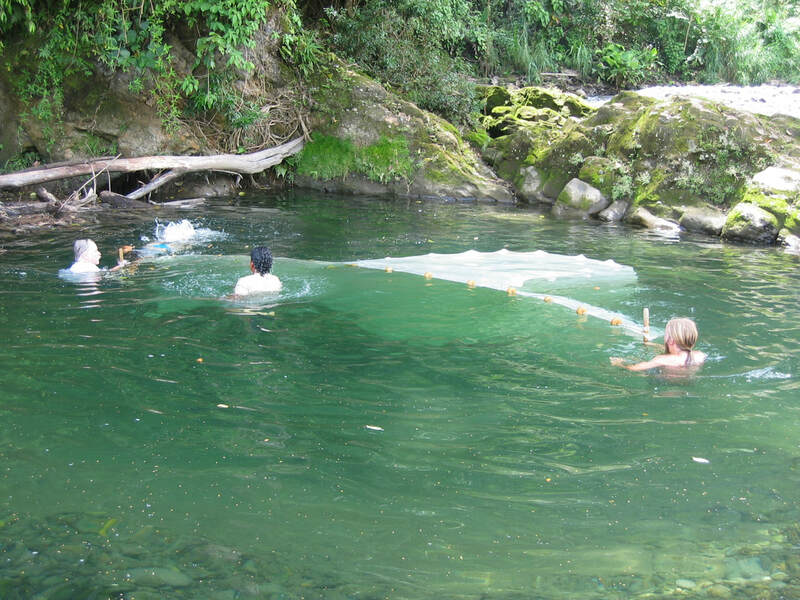 The Stream Biomonitoring Program, formally initiated in 2001, is ANAI’s youngest program, and the first to be presented to the Talamanca public as a “pure” conservation initiative, with no necessary short-term economic implications for local participants. The idea of a Talamanca Biomonitoring Program has existed in the head of ANAI cofounder and Biomonitoring Program director Bill McLarney since soon after he founded the highly successful stream biomonitoring program of the Mainspring Conservation Trust in North Carolina and Georgia, USA, in 1990. It became feasible only following ANAI’s success with other programs that combined sustainable development for rural communities with landscape and biodiversity conservation. Many of the participants in the ANAI biomonitoring program are the children of the pioneers who worked with ANAI to make Talamanca a model for involving rural communities in the search for environmentally harmonious, productive futures. They have grown up with a vocabulary which includes such terms as “biodiversity” and “biological corridor”, and are predisposed to believe that protecting and enhancing natural systems will work to their benefit; from 2001 on we have received a positive response to the suggestion that there is an opportunity to protect the health and biodiversity of the region’s rivers and streams.